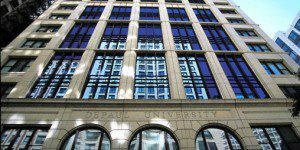 The Depaul University full-time MBA at the Kellstadt Graduate School of Business operates on a quarter system. It takes 18 months to complete and is designed for students with at least two years of professional experience. Classes are offered during the daytime from Monday through Thursday with electives offered on weekday evenings in conjunction with part-time MBA students. There is one intake of students at the beginning of the fall quarter for this program. This single cohort of students make their way through the first three terms in a lock-step program, at which point students may then begin to take their concentration classes on a more personalized schedule. The Kellstadt full-time MBA provides a rigorous structure, which most students are able to complete within four to five quarters of full-time enrollment. This curriculum begins with a mandatory orientation prior to the autumn quarter. Students then take four courses per quarter during the autumn, winter, and spring quarters of their first year, completing their foundational core classes during these three periods. Over the summer, students generally have a full-time internship. They then go on to complete their degree by taking three courses in both the autumn and winter quarters of their second year, most of which will be elective courses to fill out specific Career Focused Concentrations. The total number of required courses is 18–eleven core courses plus five electives–although certain core courses may be waived based on prior academic work. Kellstadt’s MBA core curriculum is supplemented by a choice of 14 MBA concentrations based on personal business interest within the following departments: Accounting and Management Information Systems, Economics, Finance, Hospitality, Management, Marketing, and Real Estate. There are currently 50 full-time MBA students at the Kellstadt Graduate School of Business. About 40 percent of the class is female, and 60 percent is male. The average age of enrolled students is 27-years old. They enrolled with a GPA of 3.34 and a GMAT score of 596. Kellstadt full-time MBA students earn an average annual salary of $82,000.